← The Mr Puffy Tea Cosy! I love this cup cosy! This has got to be one of the easiest cosies we have featured so far, as it’s made out of i-cord! So the first thing to do is create yourself tons of cord. 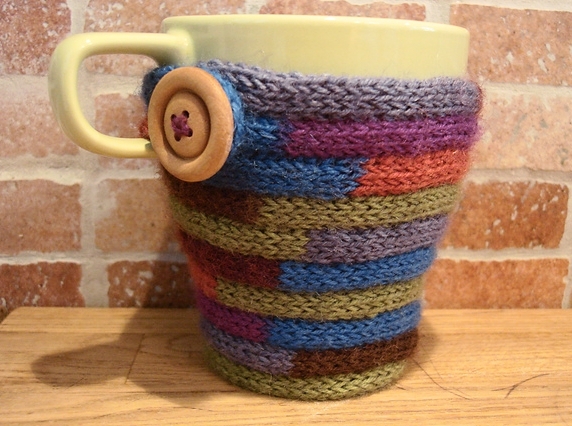 Then get yourself over to Marina’s post on Instructables, which will talk you through the rest of the steps needed to create your cup cosy! You can find more of Marina’s designs and ideas on the Instructables website, including the Enormous Stripy Knitted Snake featured on Ravelry! 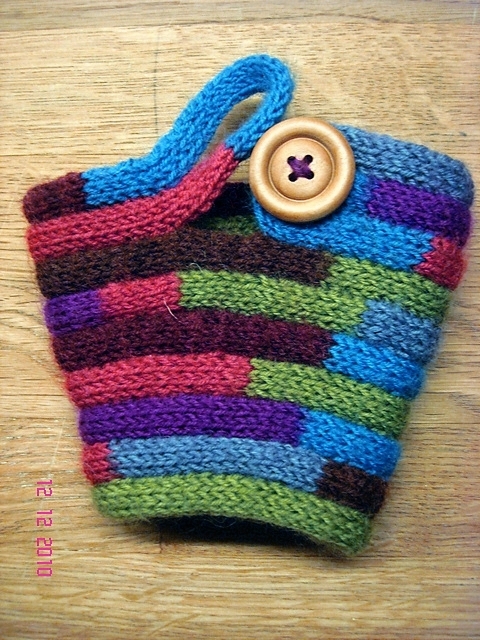 This entry was posted in free pattern, knitting, Tea Cosies. Bookmark the permalink. That’s a really good idea, and a nice way to use up small leftover pieces of yarn. I wonder if I could adapt this to the shape of mug that I usually use… Thanks for the inspiration! This caught my eye- it looks so textural! Definitely making this! 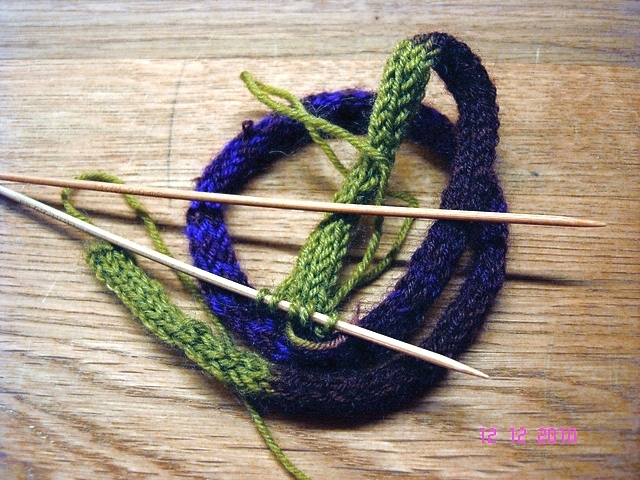 used to call this spooling, just use an old wooden thread spool, 4 small finishing nails small crochet hook or large tapestry needle to lift yarn over each stitch, poke yarn down through hole before starting to give something to guide completed length. Made hot pads, even small rugs. hats, anything round.